The Minnesota Chapter of the Society of Professional Journalists has informed me that I won a Page One Award for “Best Use of Public Records” for my series on “Minnesota and the Man Known as ‘Bobby Thompson.’” They won’t reveal whether it was 1st, 2nd or 3rd place until the annual awards banquet June 7. This is the first year for the MN SPJ’s “Best Use of Public Records” category. Unlike other award categories, this one is open to all media of any size and only three awards are given. The exclusive multipart “Minnesota and the Man Known as ‘Bobby Thompson’” series began on DumpBachmann.com and continued on Ripple In Stillwater. 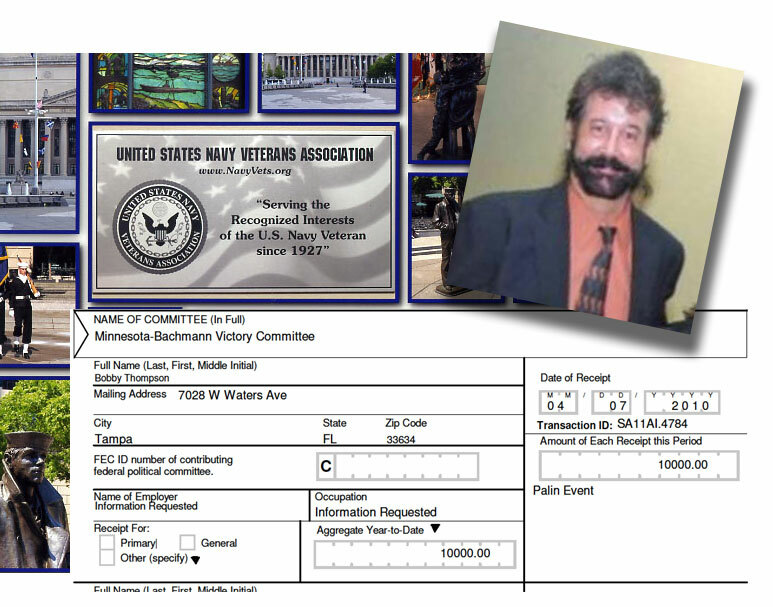 It detailed the Minnesota operations and Republican political connections of an allegedly fraudulent charitable organization called the U.S. Navy Veterans Association. The group was led by a man known as "Bobby Thompson" who, the Ohio attorney general’s office has charged, stole that identity. It raised more than $1.5 million in Minnesota over a six-year period but did little apparent charitable work. Ohio has issued a nationwide warrant for “Thompson,” who has been on the lam since the St. Petersburg Times newspaper began investigating him in 2009. He’s been charged with identity fraud, corruption, money laundering and theft. He and the Navy Vets group are under investigation by several other states’ attorneys general, including Minnesota, as well as the IRS and Veterans Administration. “Thompson” gave tens of thousands of dollars to Minnesota Republican candidates and party units, including $21,500 to former Sen. Norm Coleman. Two of his last known political contributions anywhere were $10,000 to a Michele Bachmann fundraiser featuring Sarah Palin and $5,000 to a GOP-leaning Minnesota political action committee called Patriot PAC, both in April 2010. The Minnesota Campaign Finance and Disclosure Board is investigating political contributions made by “Thompson” under that name and another phony name he’s suspected of using. House Majority Leader's GOP Caucus has taken over $90,000 from fraudsters since 2002--and kept the money. Minnesota House Majority Leader Matt Dean (R-52B)made international headlines recently when he falsely accused award-winning author Neil Gaiman of stealing $45,000 from the State of Minnesota. But Dean’s own Republican caucus has had no trouble taking tens of thousands of dollars from known criminals even though the source of those funds is likely illegal. Dean’s hyperventilated attack on Gaiman—which included his now-infamous description of him as a “pencil-necked little weasel” whom he “hates”—came during discussion of state Legacy Fund money for the arts. Gaiman was brought in by the Metropolitan Library Service Agency using funds provided through the state's Arts & Cultural Heritage Fund (Legacy Amendment) to speak to a crowd of about 500 in Stillwater. Gaiman netted $33,600, which he donated to charities; his fee was paid for out of Legacy funds earmarked for such events. Dean used Gaiman as the whipping boy for his bullying disdain for any government spending on the arts—voter-approved or otherwise—but seriously underestimated Gaiman’s popularity, both in the book world and in social media. The uproar over the kerfuffle caused Gaiman’s fans to crash Dean’s website, and earned Dean a worldwide reputation as a, well, pencil-necked little weasel. But back to Dean’s charge of Gaiman stealing from the State of Minnesota. Gaiman was simply accepting a speaking fee offered in a contract by a willing buyer, the State of Minnesota. Dean’s beef shouldn’t be with Gaiman, who was merely exercising his rights in the free market that Dean so loves. Not so with over $92,000 in campaign contributions Dean’s House GOP Caucus has taken from known criminals. Frank Vennes Jr. is a convicted money-launderer and cocaine-and-gun runner who was indicted again April 20 on money-laundering and fraud charges in connection with the $3.5-billion Tom Petters Ponzi scheme. Vennes donated $85,750 to the House Republican Campaign Committee from 2002-2006. Vennes was part of the Tom Petters Ponzi empire, and nearly all his assets have been seized and sold to pay off victims of the Petters Ponzi. Yet the HRCC has kept Vennes’ generous campaign contributions, despite the likelihood they represent ill-gotten gains. Then there’s the fraudster known as “Bobby Thompson,” who is wanted nationwide on charges of fraud and identity theft. 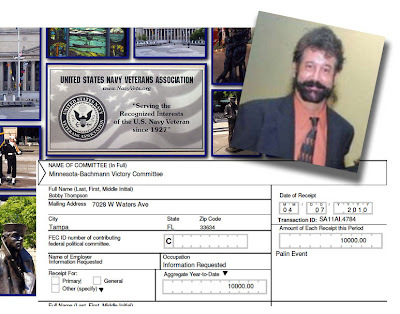 “Thompson,” a name allegedly assumed from a stolen identity, is suspected of bilking unwitting donors to his fraudulent U.S. Navy Veterans Association of up to $100 million. He collected over $1.56 million in Minnesota alone. 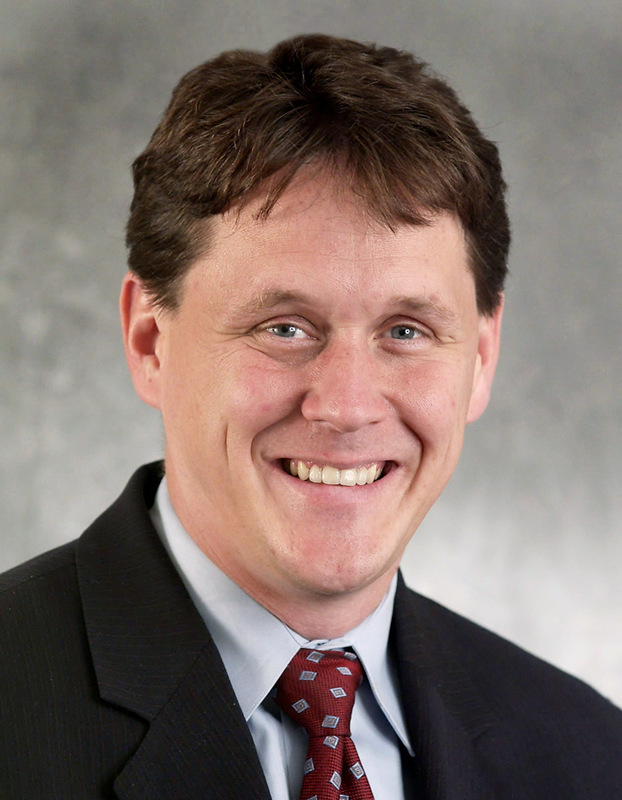 Thompson donated generously to Republican candidates and causes, including $7,000 to Minnesota’s House Republican Campaign Committee from 2008-2009. Matt Dean became HRCC treasurer sometime in 2009 and served through 2010. None of that seems to bother Dean or his caucus. At least not as much as Neil Gaiman seems to. But added together, Dean’s caucus has hauled in $92,750 in likely dirty money from fraudsters Frank Vennes Jr. and “Bobby Thompson”—well over double what Dean and his arts-hating colleagues claimed Gaiman pocketed, and nearly three times what Gaiman actually received before giving it away. Maybe Matt Dean should spend a little less time making false accusations against an author he’s never met and pay a little more attention to the questionable sources of his own House Republican Caucus’ campaign contributions. Just because your cash came from a money-launderer doesn’t mean it’s clean. Minnesota graduation rates up, disparities remain - Plus: Lee’s Liquor Lounge to close in May; Ellison warns of for-profit health plans in Minnesota; Suburban, Green and White Taxi close; and more.